Posted by Al Jazeera America March 23, 2015. 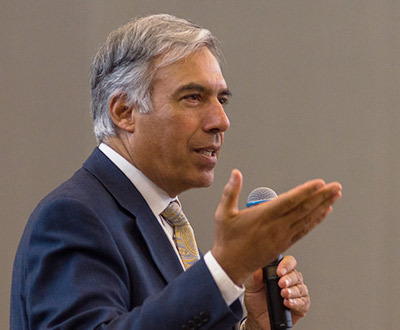 SJSU President Mohammad Qayoumi discusses the future of U.S.-Afghan relations on the occasion of Afghanistan President Ashraf Ghani’s first state visit to this country. Qayoumi was born and raised in Afghanistan, and is active in efforts to rebuild his homeland. He and Ghani were college roommates. Watch the video. 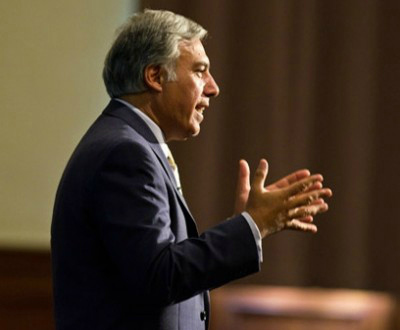 SAN JOSE, CA – San Jose State President Mohammad Qayoumi delivered the Fall Welcome Address at noon Aug. 27 in the new Student Union ballroom. The address was open to the campus community and media. In addition, the event was streamed live on the web. A transcript is accessible from the university website. An annual tradition, the Fall Welcome Address marks the beginning of the 158th academic year. 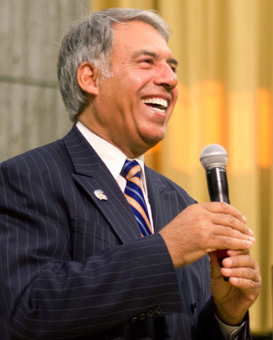 On Aug. 27, President Qayoumi urged the SJSU community to build on its rich heritage of regional stewardship, social justice, shared mission and student success. Specifically, the president encouraged students, faculty and staff to tackle today’s defining issues with the same persistence, grit, and self-determination exemplified by Spartans throughout SJSU’s history. 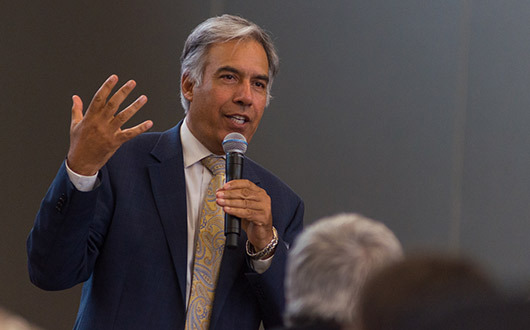 President Qayoumi also touched on campus governance, underrepresented communities, facility and technology upgrades, tenure-track faculty, and the Special Task Force for Racial Discrimination recommendations. “I am hopeful that today’s Senate conversation, and others to come, will bring us closer together and help us exceed our individual and collective aspirations,” President Qayoumi said. Late Monday afternoon, our Academic Senate approved a resolution asking the Chancellor’s Office to initiate a review of university governance. As a community, let us do all we can to support the Chancellor’s Office in responding to this request. 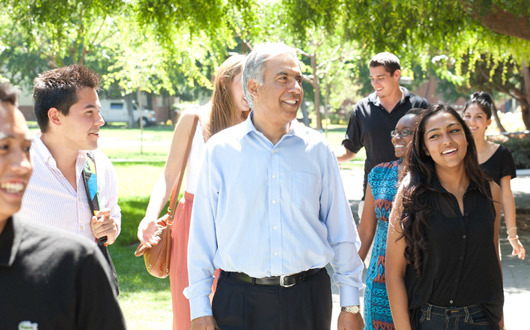 San Jose State’s tradition of shared governance is embodied in its Academic Senate, where elected faculty, staff, student, administrative and alumni representatives discuss and debate important issues. Today’s Senate discussion revealed a desire for more transparency about our priorities and explored questions about some aspects of university governance. San Jose State — indeed, California’s entire public higher education system — has coped for the last half decade with unstable, unpredictable public support. We all know that these economic conditions and related factors have impacted students and their families, and our capacity to serve them. Since 2011, we have confronted these issues while laying a foundation for a stable, bright future. Together, we have faced and surmounted some tough challenges, including erasing a structural budget deficit of $32 million. Other challenges remain, but I believe we are on the right track. As I said during the meeting, communication is the basis for effective governance. I am hopeful that today’s Senate conversation, and others to come, will bring us closer together and help us exceed our individual and collective aspirations. Why should you check out International Education Week Nov. 12-15? Because going abroad will set you apart, give you competitive jobs skills and, most important of all, expand your world view. At SJSU, highlights include study and work abroad fairs Nov. 13; a lunchtime talk on preparing for success in a globalized world Nov. 14; and the International House Quiz (that’s “IQ” for short!) Nov. 15. The Department of World Languages and Literatures will host the lunchtime talk. Speakers will include Professor of French Dominique van Hooff, Professor of Organization and Management Asbjorn Osland and Professor of History and Global Studies Michael Conniff. Prefer something hands-on? Check out the Great Global Breakfast Nov. 14; try a turban with the Sikh Students Association Nov. 14; or take a swing at cricket with the Indian Student Association Nov. 15. Meanwhile, President Mohammad Qayoumi and Dean of the College of Applied Sciences and Arts Charles Bullock are in Vietnam this week building ties with their counterparts. SJSU was recently tapped by the the U.S. Agency for International Development to coordinate an international consortium enhancing social work education in Vietnam. President Qayoumi and Dean Bullock with Vietnam National University, Hanoi, Vice President Nguyen Kim Som (center, between Qayoumi and Bullock) and his colleagues after a morning of meetings Nov. 12 at their campus (photo courtesy of Tuan Tran). The trip’s timing and purpose dovetails well with International Education Week, a national series of events celebrating the benefits of international education and exchange worldwide. Officials at The U.S. Department of State and the U.S. Department of Education kicked off the week by releasing “Open Doors 2013,” an international student census. SJSU ranks sixth in the nation among colleges and universities granting bachelor’s and master’s degrees, with 2,194 international students on campus in 2012-2013. View a complete list of SJSU International Education Week events. I want to update you on our current-year academic budget and recent reports of possible cuts to spring 2014 course sections. First, let me be clear: we will restore course sections originally planned for spring 2014. Although academic programs across the university were on a path to exceed their total budget by the end of the spring 2014 semester, I am fully committed to ensuring that our students have access to the classes they need. Accordingly, we are taking one-time funds allocated to campus infrastructure and other projects, and redirecting them to academic units. This will allow those units to restore class sections they may otherwise have intended to eliminate. I am taking this action to help our students continue progressing toward their degrees. Some of you will remember that SJSU began the 2012-13 fiscal year with a $32 million structural deficit. We elected to eliminate that deficit incrementally over a two-year period. Half of the deficit was eliminated through cuts prior to this fiscal year. The rest was eliminated when voters approved Proposition 30 last November. 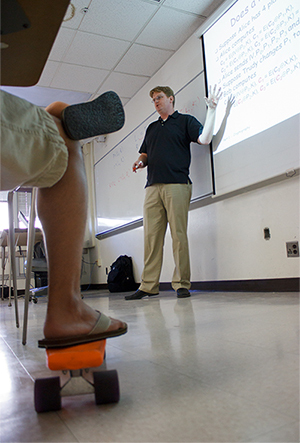 The bottom line is, San Jose State began the 2013-14 fiscal year with a balanced budget. Contrary to what you may have heard or read, our budget remains balanced today. 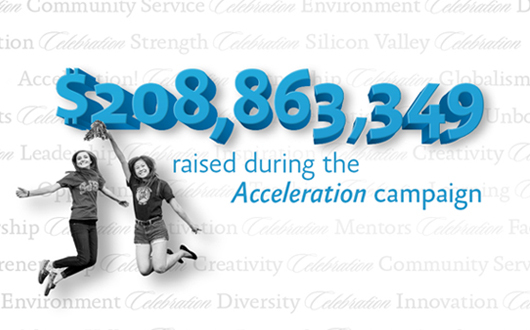 As a community, we worked diligently to restore financial stability. It wasn’t easy, and I appreciate your stellar efforts. Units impacted by the redirection of one-time funds will be informed by their vice presidents. Thank you for your patience as we continue working to deliver the services and support our students need and deserve. 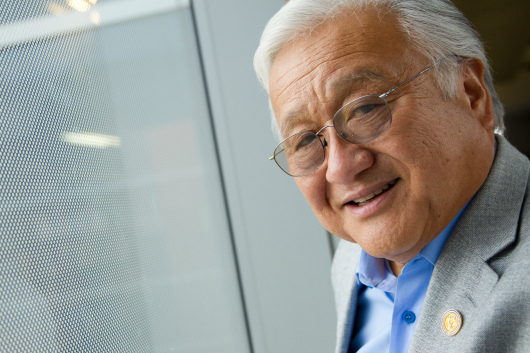 Congressman Mike Honda will visit SJSU Sept. 5 to see first-hand how the federal sequester is hitting home for more than a dozen students seeking to reach their potential as biomedical and behavioral scientists. “Our success rate will surely be impacted,” said Professor Leslee A. Parr, who also serves as program director for the SJSU Minority Access to Research Careers (MARC) program. President Mohammad Qayoumi will join Honda as he meets students and faculty members and tours the labs where they collaborate on research, building the academic and hands-on skills students need to pursue graduate degrees. Honda will be treading on familiar ground. A Spartan with two degrees from SJSU, he received a bachelor’s in biological sciences and Spanish in 1968 and a master’s in education in 1974. He went on to a 30-year career in education as a science teacher, school board member, principal and researcher at Stanford University. The MARC program under the National Institutes for Health recently provided $252,000 to SJSU for the first year of a five-year grant. This represents a 54 percent cut from the amount awarded before the sequester. The need is clear: African Americans, Hispanic Americans, Native Americans, Alaska Natives and U.S. Pacific Islanders combined make up less than 5 percent of the U.S. biomedical workforce. “Increased diversity helps expand the range of research questions asked and the perspective of analysis and application and may help to decrease health disparities,” Parr said. 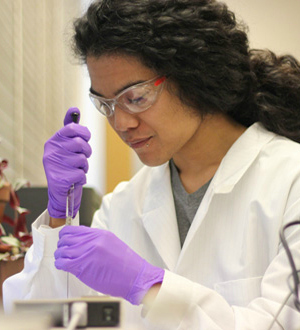 SJSU-MARC graduates have received 24 advanced degrees, including 12 PhDs and one MD/PhD. More than 40 SJSU-MARC graduates are currently in graduate and professional programs at institutions including UC Berkeley, UCSF, UC Santa Cruz, UC Irvine and Stanford. SJSU-MARC alumni are now professors at The Johns Hopkins University School of Medicine, the David Geffen School of Medicine at UCLA, The University of Texas Southwestern Medical School, Arizona State University and Hobart and William Smith Colleges. But this year, when Congress resorted to a sequester to the balance the federal budget, MARC funding to SJSU was drastically reduced, forcing the university to drop five of the program’s 14 students. Brian Castellano, ’13 chemistry, was a MARC program participant who received a fellowship for graduate school (photo by Christina Olivas). Even those who remain will sustain a 40 percent cut in tuition support, which means they’ll need to spend less time on preparing for graduate school and more time working to pay the bills, Parr said. The sequester’s impact could go well beyond the students directly affected, given that many SJSU-MARC participants are driven by the prospect of one day mentor minority students following in their footsteps. 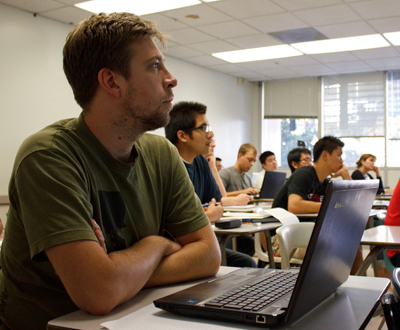 Students in class with Assistant Professor Tom Austin, one of nine recently hired faculty members focusing on cybersecurity and big data (Christina Olivas photo). The cybersecurity workforce of the future is taking shape at SJSU. In the Student Union this summer, more than 75 students spent a week building skills, networking with tech leaders, and battling to win a capture-the-flag competition at the 2013 Western Regional Cyber Security Boot Camp. And in classrooms across campus this fall, nine new faculty members are joining 20 veteran instructors to teach more than 40 courses in cybersecurity and the related field of big data. The camp and cluster hires are major components of SJSU’s initiative to strengthen the nation’s defense against hackers, like those who made headlines last week by taking down The New York Times. “As the largest public university serving Silicon Valley, San Jose State must take the lead in providing students with opportunities to become immersed in cybersecurity,” President Mohammad Qayoumi said. Assistant Professor of Computer Science Tom Austin, an SJSU graduate, returned to join a campuswide cybersecurity initiative (Christina Olivas photo). The entire academic team — with expertise in a wide range of fields from computer science to psychology — is working together on research and new certificate and degree programs. Professors are also connecting with industry, federal agencies and national laboratories on internships, research and a road map for addressing emerging issues in security and data science. All of this work is positioning SJSU for future certification as a National Center of Academic Excellence for Information Assurance. For now, the nine new hires, like the vets they join, are focusing on training SJSU students to attack the problem from every conceivable angle. Tonia San Nicolas-Rocca of the School of Library and Information Science is teaching a new cybersecurity course offered to SLIS graduate students enrolled in the school’s fully online master’s program. David Schuster, of the Department of Psychology has conducted research focusing on the cognitive aspects of cybersecurity, situation awareness in human-automation teams, and perceptual training for real-world pattern recognition. Jeremiah Still of the Department of Psychology has conducted research revealing implicit cognitive processes that can be used to help designers develop intuitive interfaces. Younghee Park of the Department of Computer Engineering conducts research focusing on network, software and system security, with an emphases on malicious code detection, botnet analysis, insider threat, and traceback to determine attack origin. Meikang Qiu of the Department of Computer Engineering focuses on embedded systems, cybersecurity and trust computing, and high performance and cloud computing. Tom Austin of the Department of Computer Science is an SJSU graduate whose interests include security and programming languages, web security and malware analysis. Michelle Chen of the School of Library and Information Science is teaching information visualization and developing curriculum on big data analysis for SLIS students. Thanh Tran of the Department of Computer Science holds a master’s in entrepreneurship and management, a master’s in business information systems and a doctorate’s in computer science. Scott Jensen of the Department of Management Information Systems focuses on the management, integration, discovery and strategic use of data within enterprises and across organizational boundaries. Read more about SJSU’s cybersecurity initiative. 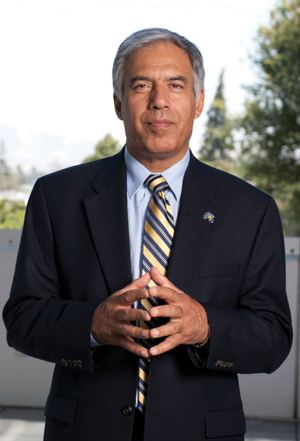 SAN JOSE, CA – San Jose State President Mohammad Qayoumi will deliver the Fall Welcome Address at noon Aug. 19 in Morris Dailey Auditorium. The event is open to the campus community and media. Afterward, a video and transcript will be accessible from the SJSU homepage. An annual tradition, the gathering for faculty, staff and students marks the beginning of a new academic year. 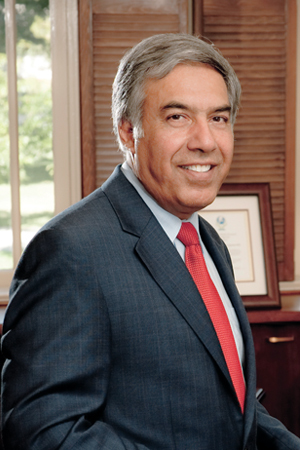 President Qayoumi will reflect on the successes of the previous year, and frame future challenges and opportunities. The president’s speech will include a significant announcement about Acceleration: The Campaign for San Jose State University, the first comprehensive fundraising campaign in SJSU history. In addition, he will provide updates on the budget, Strategic Plan: Vision 2017 and campus capital improvements. 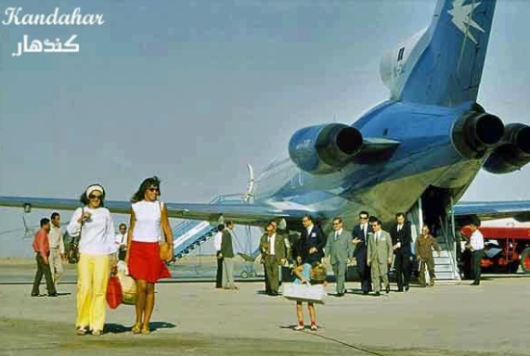 President Qayoumi’s photo collection of Afghanistan in the 1950s and ’60s shows a modern nation (courtesy of Mo Qayoumi). Posted by PRI’s The World Aug. 9, 2013. View related photos and listen to this radio story, summarized below. Professor Mo Qayoumi grew up in Afghanistan in the 1950s and 60s before leaving the country to study and work in the US and the Middle East. He remained abroad from his homeland until 2002, when he returned to a very different nation than the one he remembered. He is now the president of San Jose State University, but for the past several years has been collecting and publishing pictures of the Afghanistan he once knew on the internet. In an era when prominent Afghan scholars and policymakers frequently label the nation medieval, it’s his effort to show a side of the country that the many people have long forgotten. And some never even knew existed. What is the future of the college degree, and higher education in general, in the United States? Qayoumi described his vision for higher education, which includes standardizing 25 to 30 lower-level introductory courses and then customizing upper-level coursework with a range of hybrid and hands-on learning experiences. 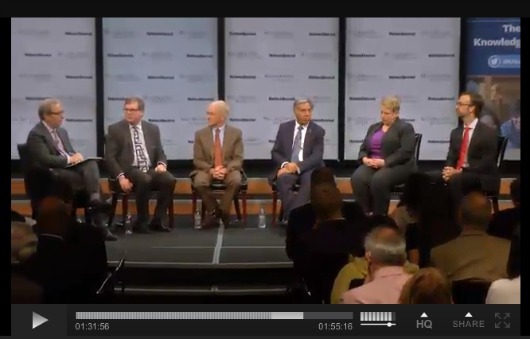 View the National Journal panel discussion. At April 22’s budget forum, President Qayoumi began with good news about exactly how Proposition 30 impacts SJSU. View the event video and slides here. Prop. 30 provided SJSU with $5.5 million that will be used this year for more course sections, classroom improvements, tech upgrades and Spartan Complex renovations. SJSU could receive an additional $13.2 million next year if the legislature approves the $250 million increase the California State University budget proposed by Governor Brown. There is no word yet on tuition increases for students and pay increases for faculty and staff, matters addressed by the system overall rather than each campus. We’ll know more after the “May Revise,” an update of the budget proposal released in January. The legislature expects to pass the budget package in June. The new fiscal year begins July 1. But the hundreds of students who packed the front rows of Morris Dailey Auditorium focused on the planned merger of four of SJSU’s five auxiliaries. Students demanded a greater voice in the process, which would combine the Student Union, Spartan Shops, the Tower Foundation and the Research Foundation. Qayoumi explained the merger is still very much in the planning process, with the goal of gaining efficiencies through unifying common functions such as financial services, IT and HR. A taskforce of business managers for each auxiliary has issued a report that the president will share with each organization’s board of directors. Qayoumi assured the students that fees collected for Student Union, Aquatics Center and Fitness Center renovations will be used for no other purpose. The question and answer session then turned to other topics, including funding for SJSU’s online initiatives. Provost and Vice President for Academic Affairs Ellen Junn explained students pay for the Udacity courses through the College of International and Extended Studies. San Jose State has paid nothing for edX materials blended into campus-based courses. But as the collaboration expands, SJSU will pay a licensing fee. To cover the cost, the provost has applied for a grant to be funded through $10 million Governor Brown set aside for CSU online efforts. Posted by the Chronicle of Higher Education April 29, 2013. What are the biggest ideas in education technology this year, and who’s driving them? For the second year in a row, The Chronicle has identified a group of key innovators who are rebooting the academy, and we’ve profiled 10 of them on the pages that follow. This is not an endorsement of their projects: In some cases, the subjects of the profiles disagree with one another on how best to change higher education. But all of the people you’ll meet here think technology could break established molds and help students learn more effectively, researchers make discoveries more easily, and colleges operate more efficiently. Earlier this year we invited readers and higher-education leaders to submit their nominations for this project, and we received more than 125 entries. Ultimately, the selections were made by a group of Chronicle editors and reporters, with a goal of considering innovators in various sectors. Mohammad H. Qayoumi thinks public universities should take a lesson from Wal-Mart—a view that might sound strange coming from a university president. Mr. Qayoumi is trying a similar blending on his campus. He is experimenting with using massive open online courses, or MOOCs, both to bring down the cost of delivering classes on his campus and to let high-school students and others get a head start on college—on the cheap. 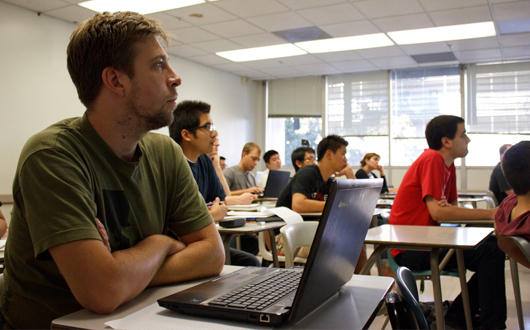 For his first goal of cutting costs, the university teamed up with edX, the nonprofit MOOC provider started by Harvard University and the Massachusetts Institute of Technology, to offer a “circuits and electronics” course in which students watched free lectures made by MIT professors as homework and attended class discussions with instructors at San Jose State. The experiment violated a basic premise of college teaching—that every professor should create and deliver his or her own lectures. “How different is the basic algebra course taught in Boston, or California, or wherever?” asks Mr. Qayoumi. To help provide a cheaper online-only option, the university forged a partnership with Udacity, a for-profit MOOC provider. 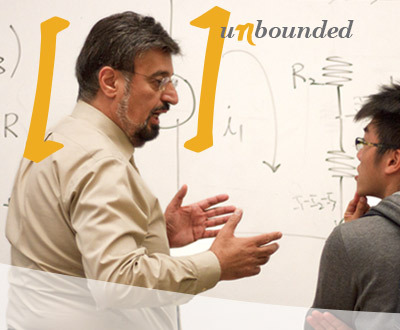 In a pilot project, the company worked with professors at the university to create three introductory mathematics classes. The courses are free online, but students who want credit from San Jose State can take them for just $150, far less than the $450 to $750 that students would typically pay for a credit-bearing course. Both moves are part of Mr. Qayoumi’s plan to “reinvent” public universities. He has laid out that vision in a series of reports that call for public colleges to use technology to produce more graduates while spending less money. In one, he suggests that some high-school students might take a year’s worth of courses as MOOCs before even coming to a college campus. Some professors question the president’s notion that colleges should look to industry for inspiration. “It almost treats students like they’re industrial products, like ‘How many widgets can we get through those programs? '” said David Parry, an assistant professor of emerging media at the University of Texas at Dallas, in an interview this year after San Jose State announced its project with Udacity. Mr. Qayoumi, though, sees the move to online learning as a way to actually improve the quality of education. In large lecture classes, he says, people romanticize the classroom experience and overstate the effectiveness of the chalk-and-talk format. When professors give monologues to a room of 120 students, few actually interact with the sage on the stage. So far, data are proving him right. In his experiment with the edX circuits class, 91 percent of the students who watched the lecture videos from MIT passed, while only 55 percent and 59 percent passed in the two traditional sections offered as control groups. The president compares higher education today to the railroad industry in the 1940s and 50s: Companies that stubbornly clung to the view that they were in the railroad business failed, while those that diversified, considering their mission as transportation in whatever form, thrived. “We are a learning enterprise,” he says. And he’s willing to abandon the old rails of traditional instruction. Mr. Qayoumi, 60, grew up in Afghanistan and trained as an engineer at the American University of Beirut. He did his doctoral thesis at the University of Cincinnati on how to rethink electrical systems to make them more efficient. He worked in industry for several years—as an engineer in the Middle East—which he credits for giving him his business-minded approach to college leadership. 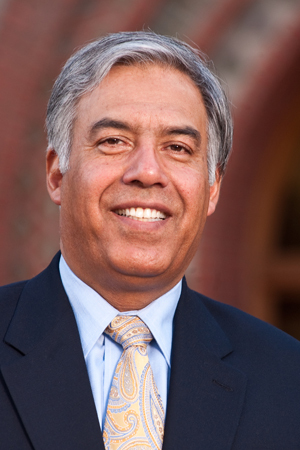 In the mid-80s he became associate vice president for administration at San Jose State, and held administrative positions at two other California institutions before becoming president of California State University-East Bay, in 2006. He took over the top job at San Jose State two years ago. He has also played a role in the rebuilding of his homeland, serving as senior adviser to the minister of finance of Afghanistan, from 2002 to 2005, and as a board member of the Central Bank of Afghanistan, from 2003 to 2006. 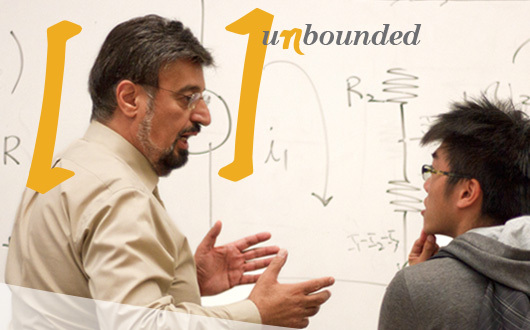 His reports and his experiments with MOOCs have recently brought him into the national spotlight. He has presented his ideas to Secretary of Education Arne Duncan, and Gov. Jerry Brown of California has taken an interest in his projects. What would he say to someone who worries that too much fast failing could undo his esteemed university? But he does feel a sense of urgency for his reforms. “Isn’t it about time that something should change?” he asks. “From the day that chalk and a blackboard were invented, how much change has really been made? We need to move far faster than what we have been comfortable” with up to now, he says.